Search Engine Optimization for Beginner. A – The top three ads in the shaded area are paid ads. They have been created through Google’s Adwords program and are Pay-Per-Click (PPC) ads. B – As I conducted a “local search,” Google is showing me a Google Map relevant to my search. The red drops, lettered “A-G,” represent the businesses that have claimed their Google Places listings. 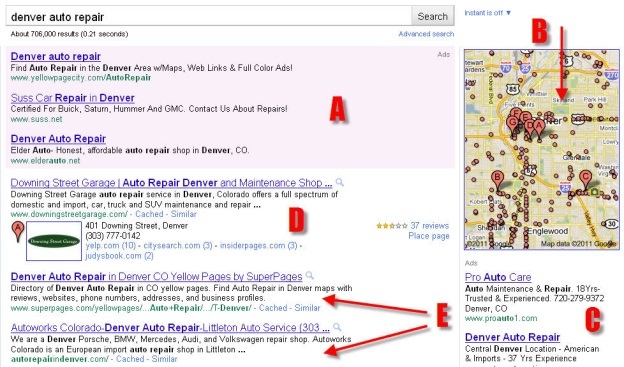 C – These ads are also paid ads created through Adwords. D – This is an “organic” listing that can be manipulated through SEO. You can see that this business has created/claimed their Google Places listing as the “A” tear drop appears in their listing. 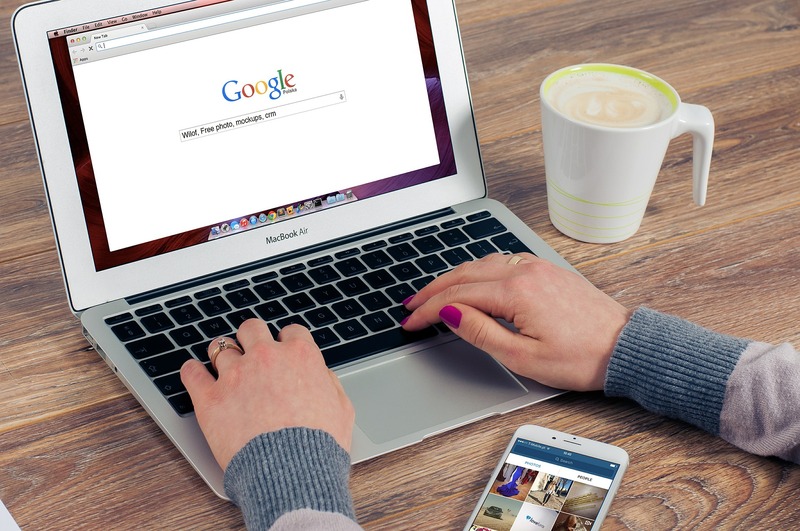 Search engine optimization, aka SEO, is the term that refers to the things you can do to improve your website’s visibility in the search engines. Search engine optimization techniques focus on increasing the organic, or natural, traffic that you receive based on your ranking within the search engines. Search engine optimization is achieved through a wide variety of methods. Many webmasters or SEO professionals will focus on proper keyword research, clarity in the setup of your website’s headers, tags, file names and descriptions, external backlinking, internal cross linking, and quality content creation. Tags: Search Engine Optimization for Beginner.